We met Carla and Karl at an ALS walk at Zephyr field a couple years ago and liked them instantly. They reached out about about doing something special for Karl in Las Vegas… And, as we love adventure for pALS, we wanted to help. 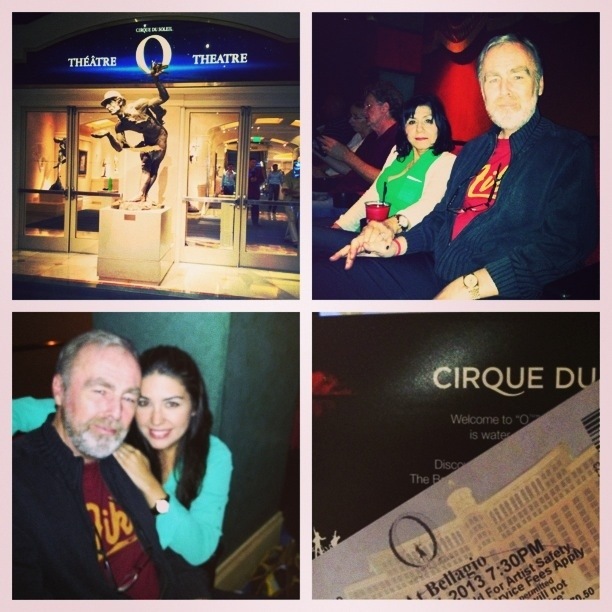 So, with the money donated to The Gleason Initiative Foundation, we purchased three tickets to Cirque de Soleil “O” at the Bellagio for Karl, his wife Sandy, and his daughter Carla. Thank you does not suffice! Dad had an amazing time! He didn’t know what to expect from ‘O’ and he absolutely loved it! I was slightly confused by it but thoroughly enjoyed it as did Mum. We hope to see you all in Belize one day!